Sous vide potatoes! Make a big batch on the weekend, then reheat as needed for quick side dishes during the week. They're perfectly cooked and creamy all the way through. Oh, potatoes. There’s very little you can’t do, and very rarely do I turn you away. For example, I’m totally unopposed to cooking up a really good bag of frozen French fries. Or tater tots. I’m also completely smitten with making my own oven-roasted potatoes, and I also love serving boiled potatoes slathered with olive oil or butter (or a bit of both, let’s be honest) and some fresh herbs. Sous vide potatoes are the best of both worlds: Buy fresh potatoes at the store and cook a big batch sous vide, then you can eat them right away, freeze them for later, or keep them in the fridge and reheat them throughout the week. How does sous vide work, exactly? Well, an immersion circulator creates a consistent temperature environment that ensures very precise cooking results. It’s similar to a slow, gentle poach that helps food retain its moisture, too. This low, slow method of cooking sous vide is well suited to vegetables because it keeps them at a consistent temperature and cooks them thoroughly but without letting them getting too mushy. There’s a little bit of a learning curve or trial and error with using this style of cooking, but it’s nothing to be too wary of. It’s mostly a hands-off process, not unlike cooking in a slow cooker. WHICH POTATOES Are Best to COOK SOUS VIDE? For this recipe, the smaller the potato the better because they cook faster. Look for little ones that you’d normally use for boiling or pan-frying. I tested this recipe several times with combinations of yellow, red, and purple baby potatoes, all of which worked equally well. These potatoes are a little bit waxy, so hold their shape well and they also can go right into a hot pan or oven afterward to further develop flavor. I also tried some potatoes that were irregularly sized, and in those cases, I made sure all the potato pieces were approximately the same size by cutting them in half or in quarters. If you have the ability to hand-select your potatoes in a bulk bin or at the farmers’ market, look for ones that are about the same size—tiny potatoes about an inch or less in diameter are great, but larger ones can be cut in half or quarters. If bags of potatoes are your only option, that’s fine; just know that some will always be some larger and smaller. Again, just cut the larger ones so that all the pieces are roughly the same size. When I first started working on this technique during recipe testing, I tried leaving some of the slightly larger baby potatoes whole, but I couldn’t get them to cook all the way through in an hour. Since I’d rather not wait more than an hour for cooked potatoes, I decided to try halving the larger ones. Problem solved. The potatoes cooked through. The last time I made this recipe — when we photographed them for this post — I went with a combination of cut up and whole potatoes, cutting the larger ones to match the size of the smallest whole potato (sometimes you’ll find those tiny potatoes the size of pencil erasers in a bag; disregard those). When I took this mixed approach of whole and cut potatoes, I didn’t encounter any inconsistencies in cooking. Here’s what to do: Leave whole any potatoes that are smaller than 3/4-inch in diameter. If you have a motley selection of small potatoes (or even bigger ones you want to use up), halve or quarter them into smaller pieces about 1-inch (or less) in size. 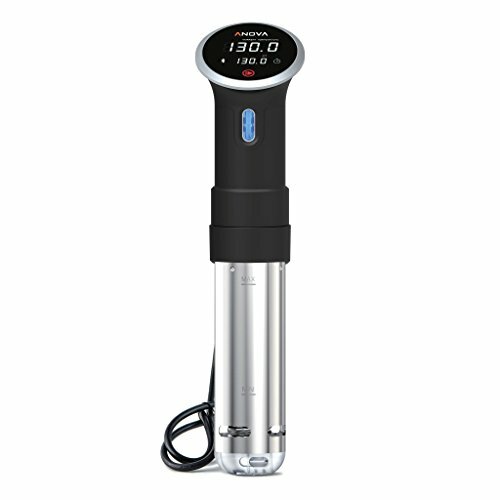 HOW LONG TO COOK POTATOES SOUS VIDE? Potatoes take about an hour cooked sous vide at 194°F. When done, the potatoes should be tender all the way through when pierced with a fork. If not, reseal the bag and continue cooking a few extra minutes (and cut your pieces a little smaller next time!). A big advantage to cooking sous vide is the ability to make components of meals ahead of time. You can make these sous vide potatoes on the weekend, keep them in the refrigerator, and then reheat them in a pan with a little bit of oil to get the edges nice and crispy. That’s my preference. This nets you the effect of roasting the potatoes, but without dealing with the oven. Bonus! I tend to make these potatoes and then eat them throughout the week either with eggs in the morning, or with a protein for dinner. Recipe Note: Depending on the season, feel free to vary the herbs you use. I happen to like a combination of parsley and chives in the spring and summer; you might consider sage, thyme, or rosemary in the cold winter months. 1 Prep the potatoes: Leave whole any potatoes that are smaller than 3/4-inch in diameter. Halve or quarter larger potatoes into smaller pieces roughly 1-inch in size. 2 Heat the water: Fill a pot with water and place your immersion circulator inside. Set the temperature to 194°F and let the water come up to temperature. 3 Prep the Potatoes: Add the potatoes, chives, salt, black pepper, and oil to a gallon-size zip-top freezer bag. Toss together in the bag to distribute the ingredients. Add 3 or 4 heavy soup spoons to the bag—potatoes have a tendency to float, and the spoons will help weigh the bag down. Set the potatoes aside on a kitchen towel until the water has finished heating. 5 Cook the potatoes: Once the water has come up to temperature, submerge the bag of potatoes in the pot. Make sure the bag is completely submerged; otherwise the potatoes will not cook evenly. Cook for 1 hour, and check for doneness by carefully removing the bag from the water, opening the top and sticking a fork in a potato to determine its tenderness. If not tender all the way through, reseal the bag and continue cooking. 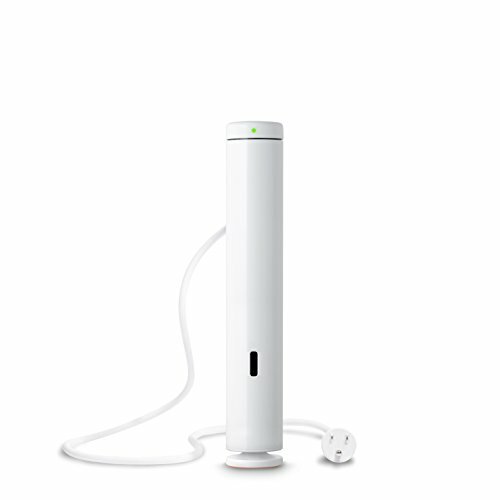 6 Serve: Remove from the water, and turn off the circulator. Transfer to a serving platter and sprinkle some additional fresh chopped herbs and sea salt over the top, if desired. You can also drizzle the cooking oil over the plated potatoes. Alternatively, let the potatoes cool in their bag and then refrigerate for 3 to 4 days. Remove from the bag and reheat in the microwave, in a skillet over medium-high heat, or by roasting in a 425°F oven. Hello! All photos and content are copyright protected. Please do not use our photos without prior written permission. If you wish to republish this recipe, please rewrite the recipe in your own unique words and link back to How to Cook Potatoes Sous Vide on Simply Recipes. Thank you! Hi, Steph! Thanks for the comment! With sous vide cooking, you’re cooking food far lower than you would ever cook them in the oven — always less than 212F. Freezer ziplock bags are made from a safer, higher-grade plastic and are approved for use below these temperatures. If you have a vacuum sealer, you can also purchase plastic bags that are specifically created for sous vide cooking and seal them yourself. You can read more about this in our post on The Safety of Sous Vide Cooking!